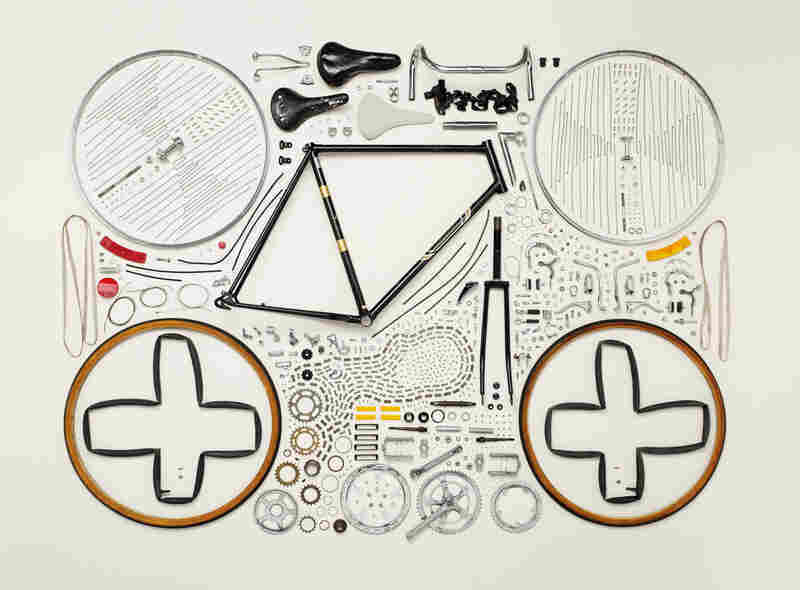 Things Come (Very, Very) Apart : The Picture Show Photographer Todd McLellan dismantles common household objects, then meticulously arranges the parts to show the inner workings of everyday stuff. 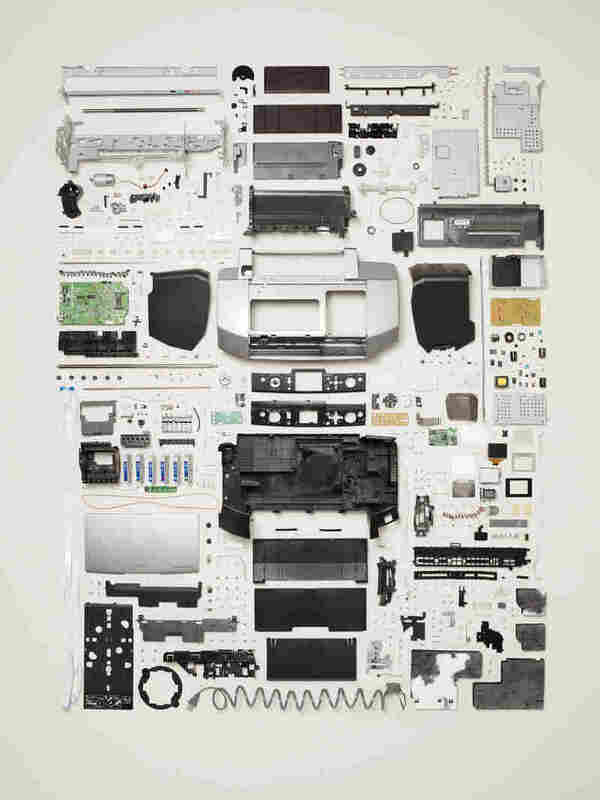 All images from Things Come Apart: A Teardown Manual for Modern Living, Photographs © 2013 Todd McLellan. 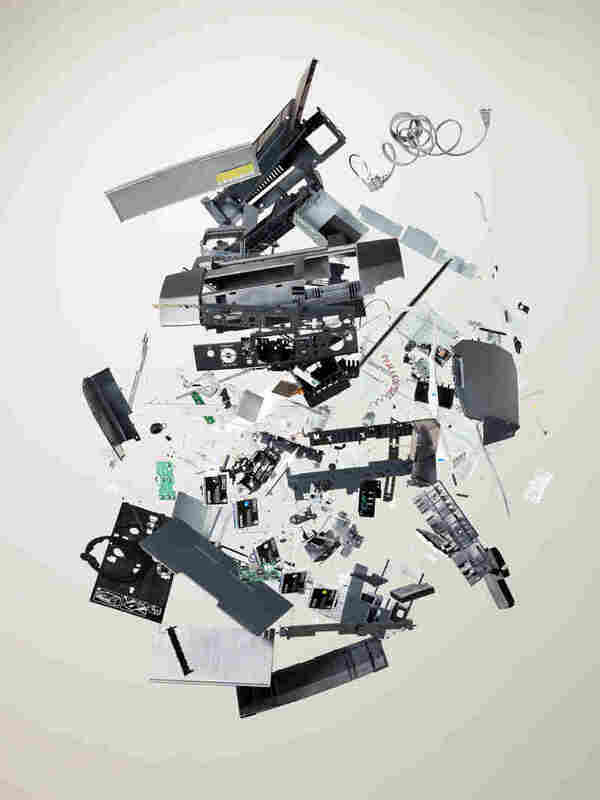 Todd McLellan/Reprinted by permission of Thames & Hudson Inc.
Todd McClellan/Reprinted by permission Thames & Hudson Inc.
Todd McLellan must have a lot of fun at his job. 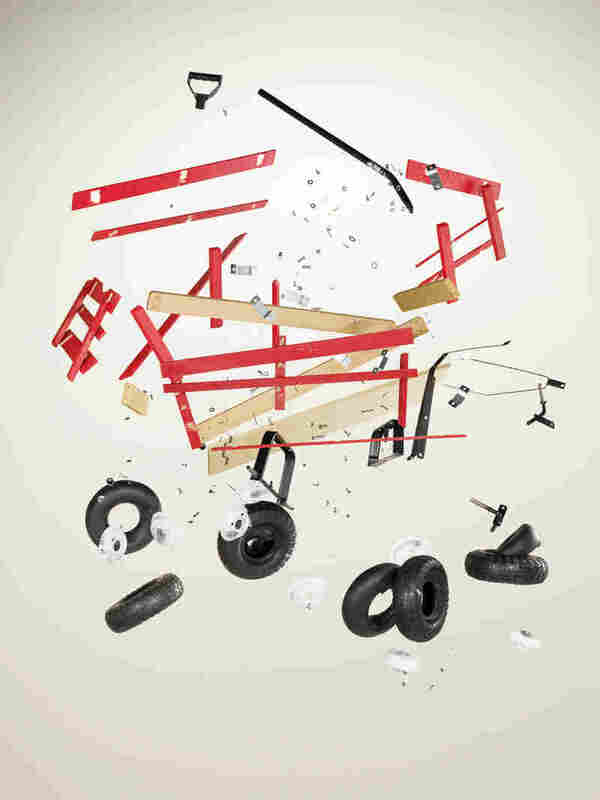 How else to explain someone who meticulously dismantles, then painstakingly rearranges hundreds of tiny parts of machinery. And that's before he throws everything into the air. 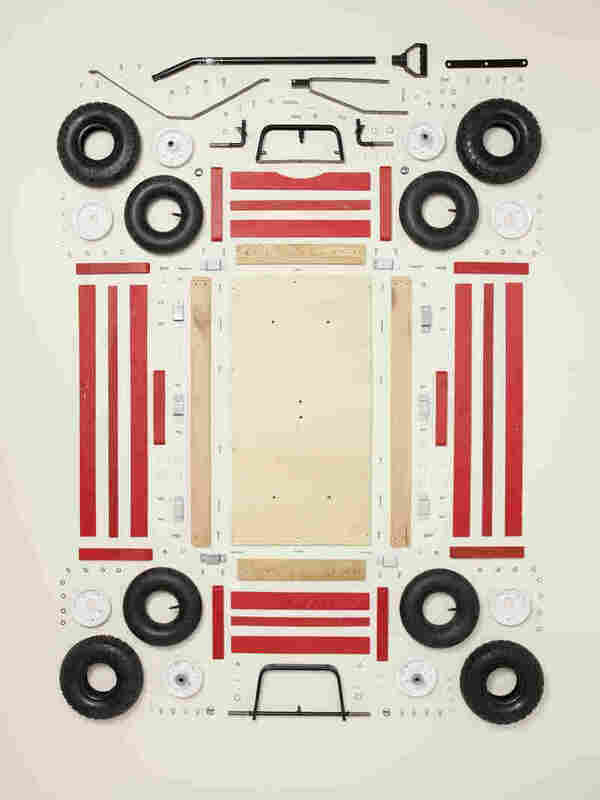 The Toronto-based commercial photographer was the kind of kid who always took things apart, including an entire 1985 Hyundai Pony in secondary school. He said that if an object interested him, it would soon be in pieces. "I've always had a technical grounding trying to figure out how things work," he said in a phone interview. 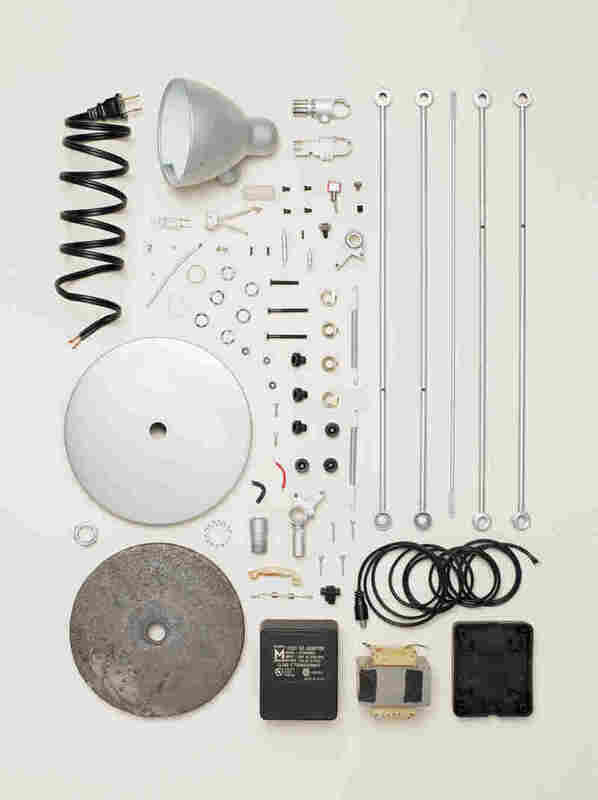 That fascination followed him into adulthood, when he decided to disassemble 50 design classics for his book Things Come Apart: A Teardown Manual for Modern Living. 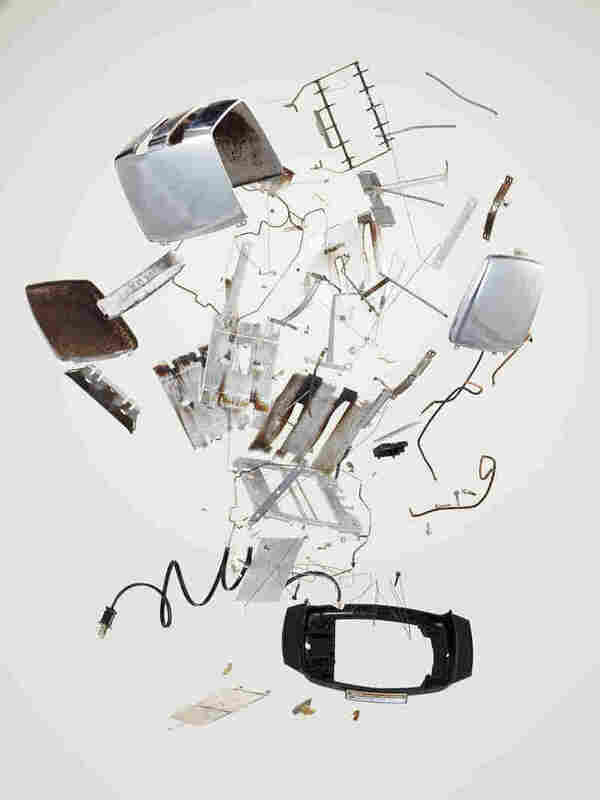 The objects range from modern "smart" technology to older things that he collected on the street and at thrift shops. 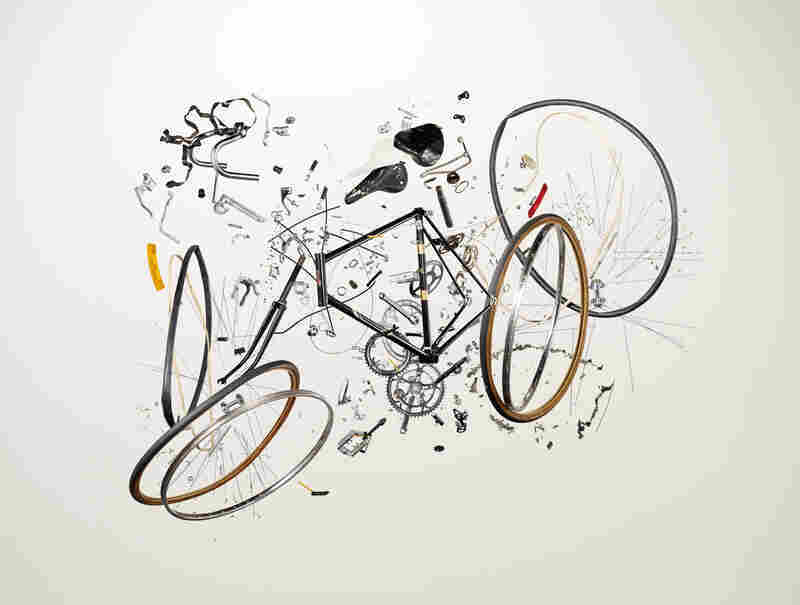 He looked for objects that were outdated but still functioned. 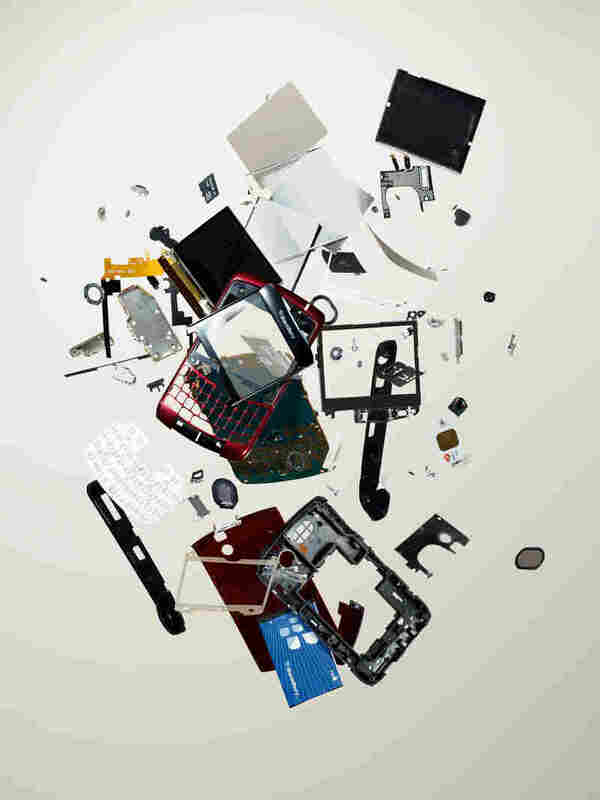 "I remember thinking, 'Wow, all this technology still works,' " he said. To photograph the objects, he first tried conventional portraits but found the results "boring and stuffy." 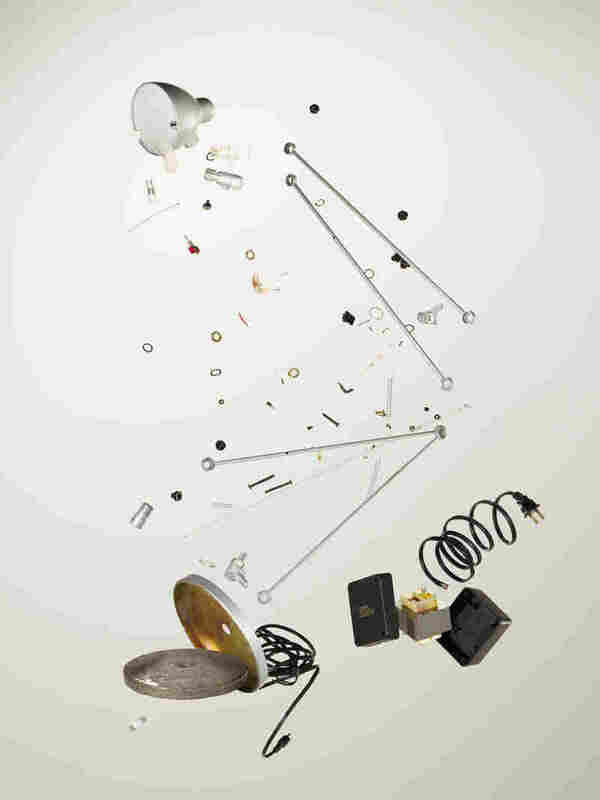 Eventually he decided to take the objects completely apart and lay out all of the pieces on a white backdrop. "I think I've gained an appreciation for newer technology and for design overall," he said, speaking of the iPad and smart devices. "How they fit so much into such a small space is amazing." 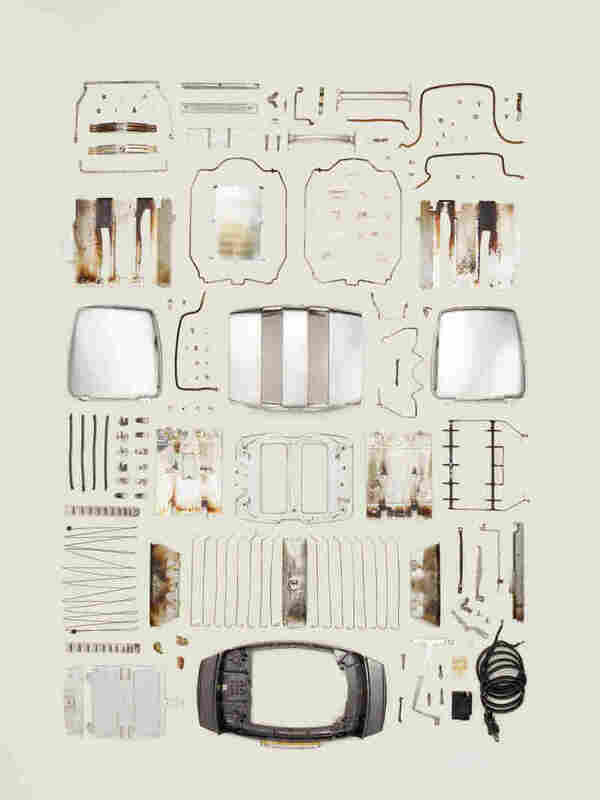 McLellan's photographs seek to challenge our disposable culture by making transparent all the things that we regularly throw away. He said he wanted to get inside the older objects to show the quality, beauty and care that went into the original manufacturing process. "I hope people think a little bit more about the things they use. Not that people should have feelings for objects, but instead think about 'reuse and recycle,' not just 'use and discard.' "
And, he said, he was able to preserve the parts of everything he dismantled, except the piano. 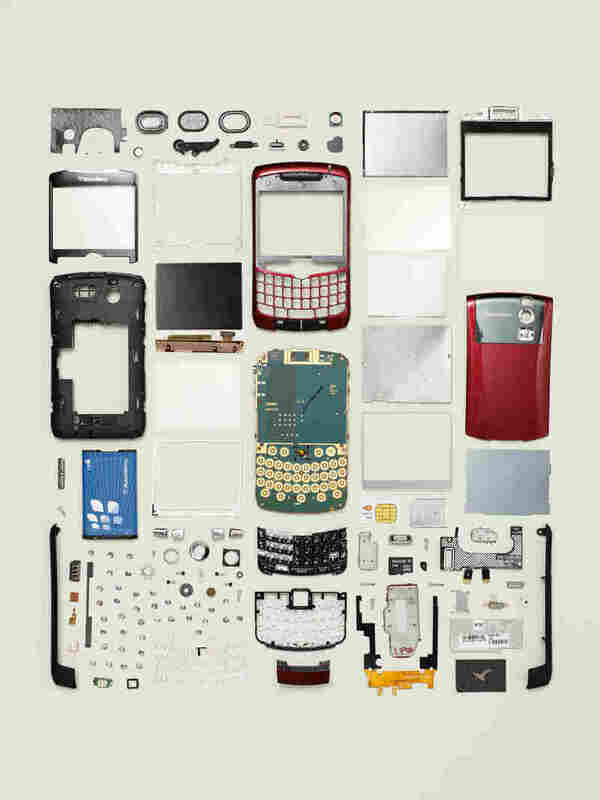 Photos from Things Come Apart are currently on display at the Chicago Museum of Science and Industry. 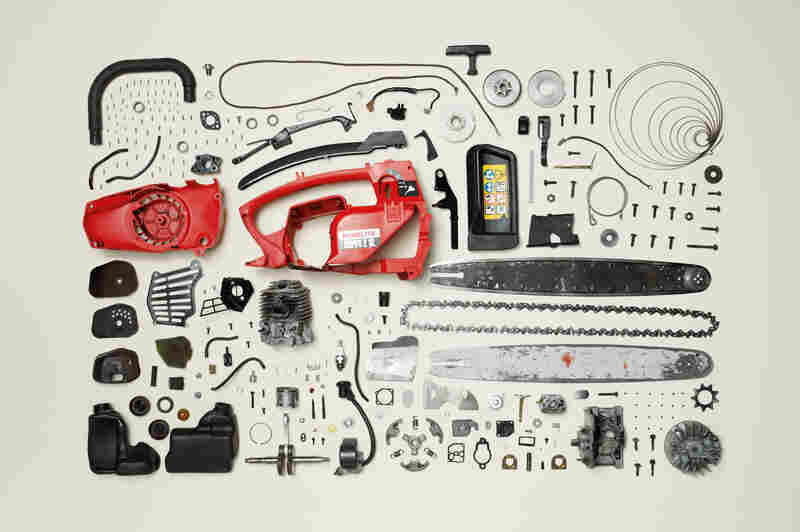 View more of Todd McLellan's work on his website.